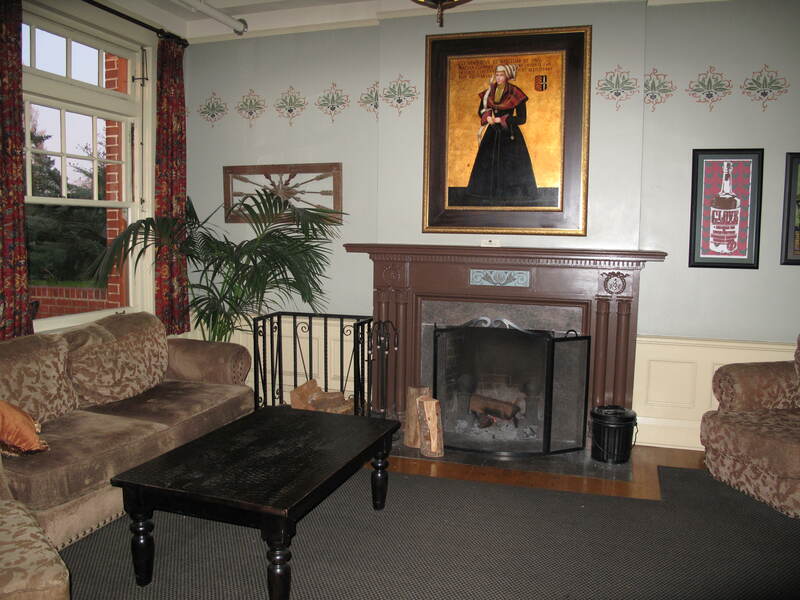 There are eight McMenamins hotels and last night we stayed at the Grand Lodge in Forest Grove, Oregon. This lodge features a full restaurant, a movie theater where food and drink from the restaurant are offered, a soaking pool, small bars and 77 European style guest rooms. 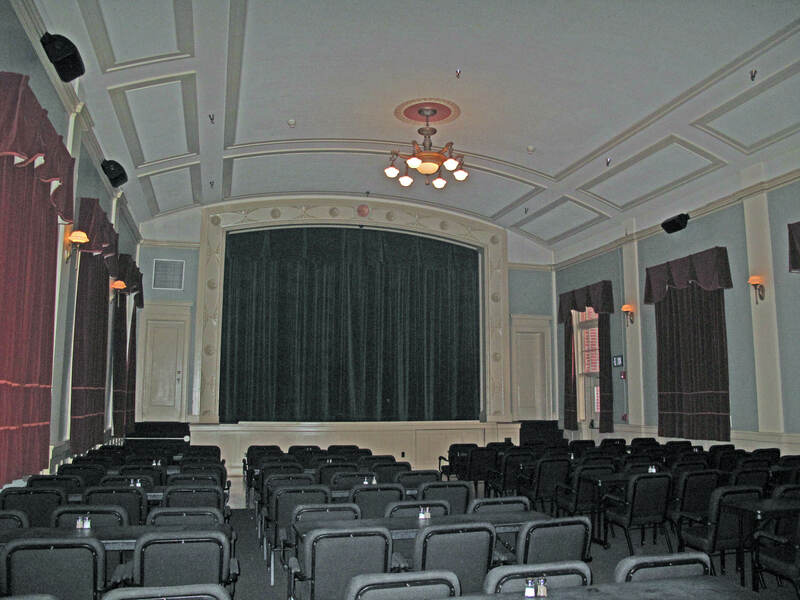 The building was constructed in 1922 as an Masonic and Eastern Star home. 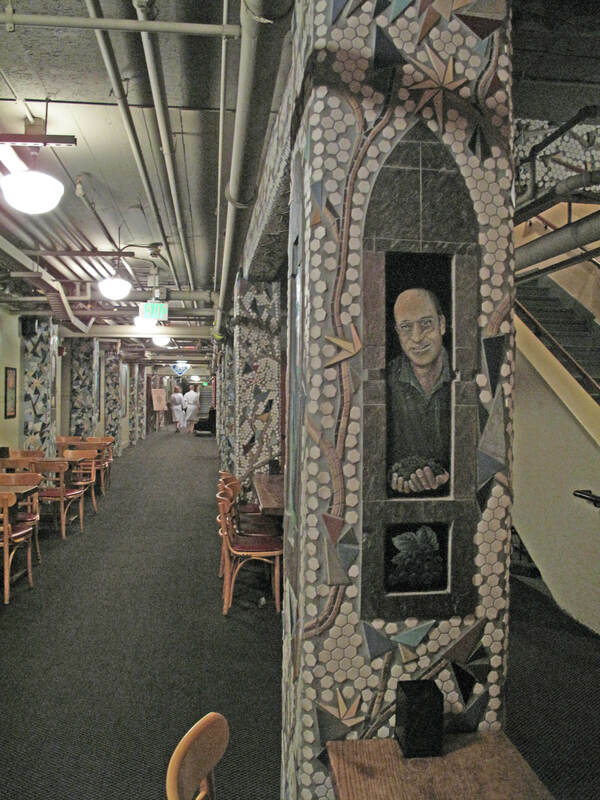 In 2000 the building was renovated and opened as a McMenamins. 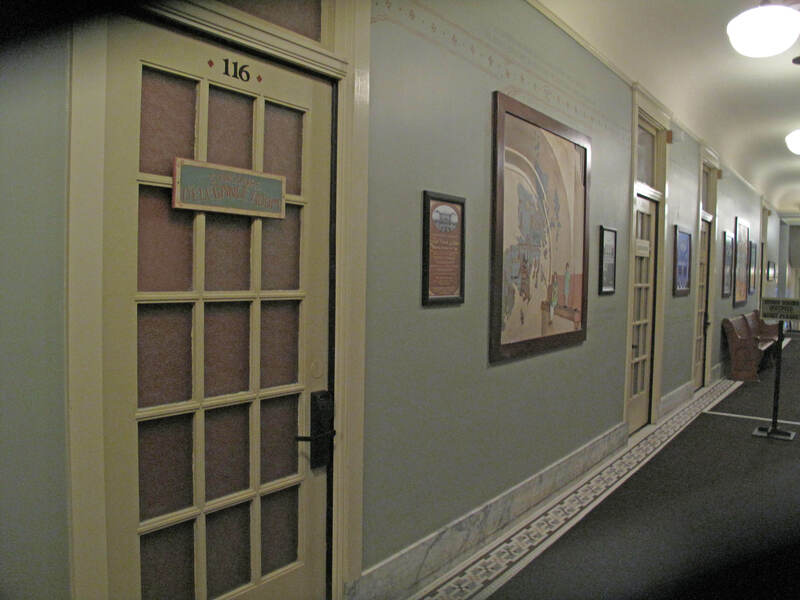 The history of the building can be seen in the historic photos and original art hanging on the walls. We checked into the Lodge around 4:00 and had dinner, watched the most recent Harry Potter movie (yes, it is that dark) and enjoyed the soaking pool. This morning there was a Continental breakfast. All in all, a delightful, relaxing time away. This morning I was traipsing around taking photographs and the desk clerk noticed me. He asked if I had a shot of the theater and I said kind of (I took a cell phone photo during the movie, really it was an awful photo!). He said it was much better to take a photo during the day with the lights on and then he took me upstairs and unlocked the theater for me! How nice is that! 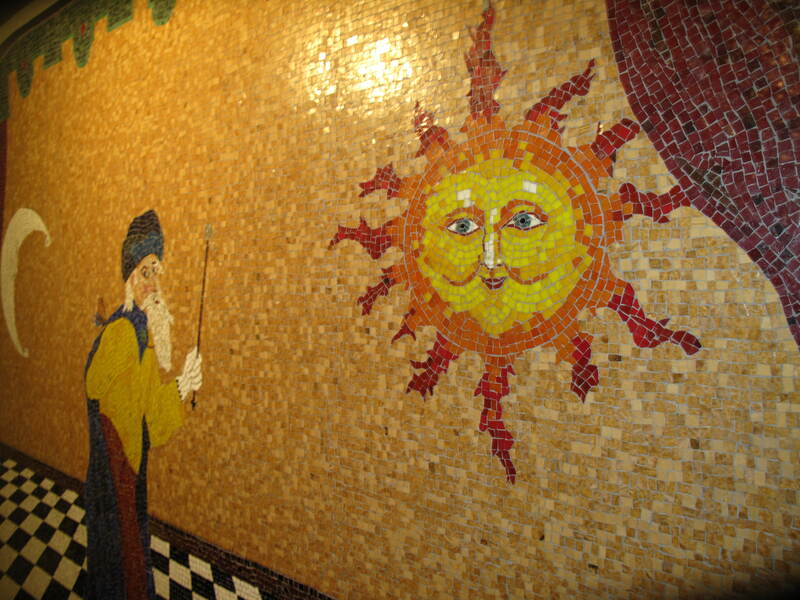 This entry was posted in Art -- there is art here!, Historic Sites, Hotels, Other States - OR, Performance Places, Restaurants and tagged Eastern Star, Forest Grove, Grand Lodge, historic, Hotel, Masonic, McMenamins, OR, Oregon., photos, restaurant, soaking pool on February 21, 2011 by admin.